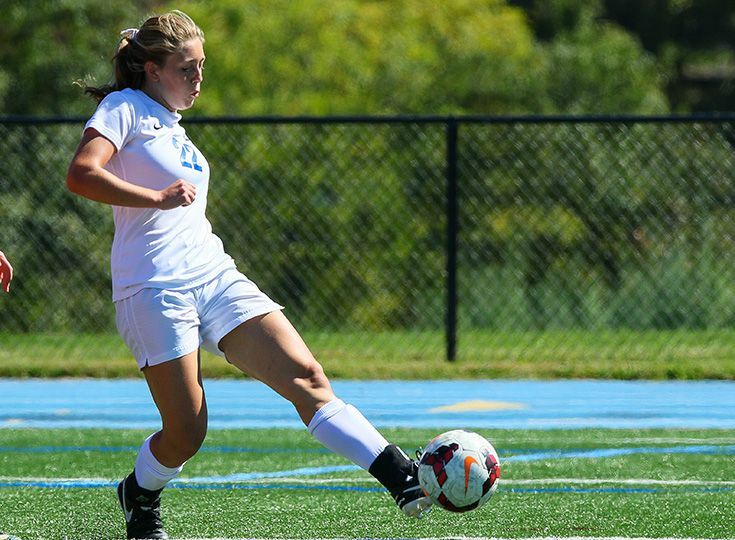 Varsity girls’ soccer advanced to the semifinal round of the NJSIAA South Jersey Non-Public B tournament with a 1-0 upset over third-seeded Holy Spirit yesterday. The lone goal came from junior Hayley Goldin off an assist from sophomore Ava Kolb in the first half of the game. Seven saves from sophomore goalie Teresa Zimmer held the opponent scoreless to give the Knights the victory. On Monday, the team will face second-seeded Moorestown Friends at 2:00 p.m. in the semifinals. Go Knights!